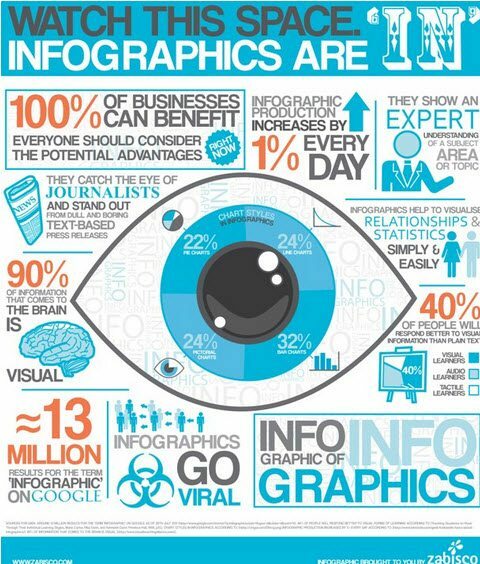 Some other examples can be found here -”6 Fantastic Facebook Marketing Infographics“. I noticed the power of Infographics about 6 months ago when I included it in blog article and was surprised by the traffic response. 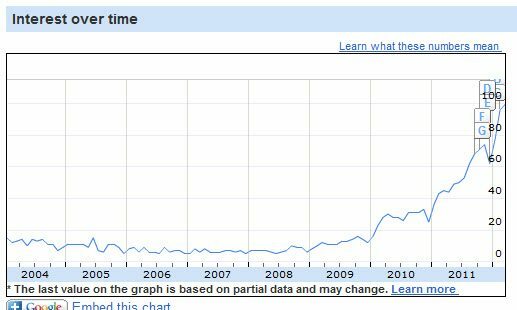 On taking a closer look at its popularity, I decided to use Google “Insights for Search” analytics to determine the increase in the interest in the keyword “Infographics” as reflected in search volume increases since 2004. I discovered that since just prior to the start of 2010 to the beginning of 2012, infographic search volumes have increased by over 800% in just over 2 years. 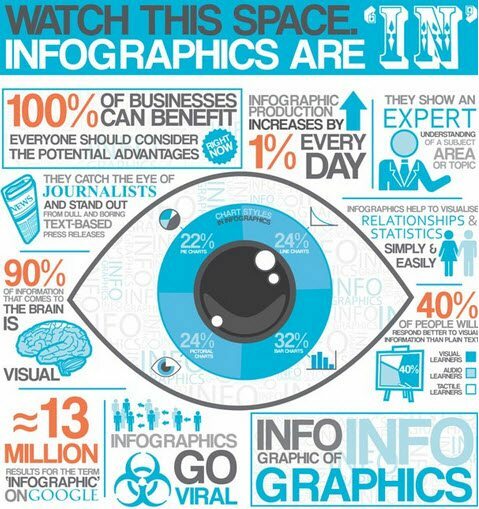 The challenge with infographics is creating them. The capability to use marketing tools and technology without having to beg or pay for attention is unprecedented. It’s a time where you can now build your own crowd to market and sell to without paying the mass media gate keepers. The social media networks are at your disposal and with the right tactics and software you can create brand awareness and access to influencers and decision makers in boardrooms across the world. This freedom to take control of your own marketing comes at a cost. The cost is complexity and time. To be effective it requires using multiple networks, constant content creation and monitoring and managing. It’s not just multiple networks and multimedia to think of, it is also about adapting to new hardware platforms where consumers receive their messaging. This is no longer restricted to just print, TV and radio but has proliferated to laptops, smart phones and tablets. They all have their own limitations and parameters to be optimal. Here are seven trends that all marketers need to consider in their toolbox of tactics to remain effective and current. The importance and role of content marketing and how it works across social media, search, multimedia and mobile is becoming a key focus for many brands. Many companies don’t understand the importance of this trend and how it underlies almost all digital marketing. Brands such as Coca Cola have recognised this and changed their strategies to meet the web realities. Brands have been blinded by the shiny new toy of social media eg Facebook and think that Facebook marketing is all they should be doing beyond their day to day habitual marketing that they have been doing for decades. This is just a snippet of your activity focus. You should not be forgetting Twitter, Blogs and Google+…just to mention a few to market your content. Content is the foundation of all digital marketing and is the reason people read, view or share. Creating “liquid content” is vital to create brand awareness and tap into crowd sourced marketing. The rapid rise of smart phones and tablets has flatfooted many marketing managers and delivering marketing messages and content that is optimized for mobile platforms is becoming a “must”. Increasingly consumers are viewing content, receiving emails and buying products from “small screens”. Companies need to urgently redesign websites and blogs that are “responsive” (respond to all devices screen sizes for optimal viewing and usability) to ensure they are optimising for mobile devices. Some websites are recording 30-40% of all traffic from mobile devices. That should not be ignored. It will cost you money and lead to missed opportunities. Companies that are savvy marketers are realizing that digital marketing should not be one offs that are islands of isolated tactics. Social media and content is impacting search results. Google created Google+ for a few reasons including capturing social signals. Ensuring that your approach is allowing you to tie them all together to achieve maximum effectiveness is becoming key. This is optimised and integrated digital marketing. Brands are also realizing that “doing” social is complex and is like juggling many balls at once. We are seeing the rush to develop, buy up start-ups and implement Enterprise platforms that are assisting marketing professionals to market, manage and monitor multiple social networks and even other digital marketing (eg email). The tools to manage the complexity are emerging and evolving as the rush to package the technology accelerates. The holy grail to have one tool to manage your marketing is the mission for many software companies who see this opportunity. Marketers need to realise that a strong trend is emerging called continuous marketing. It doesn’t mean that you shouldn’t run “campaigns”. The reality is that being found online (found in social network updates, Twitter streams and in a Google search) requires constant SEO activity and content creation, publishing and marketing. Creating, curating and marketing content that is fed into the maws of the social media beast needs to be relentless or you will left behind and you will be lost in the web noise. The “one size fits all” approach to marketing where mass messages on television and traditional media are becoming less effective due to media saturation. We are seeing the rise of personalized marketing on e-commerce sites, websites and emails that tailor the advertising and user interface to the relevant interests of consumers. Visit an online store once and come back and the website knows that you are male and like Nike runners. The next email that arrives has also been personalised with products that you visited while shopping online. The web is capturing your habits as it reads the data, applies intelligence and serves up information that is relevant to “you”. 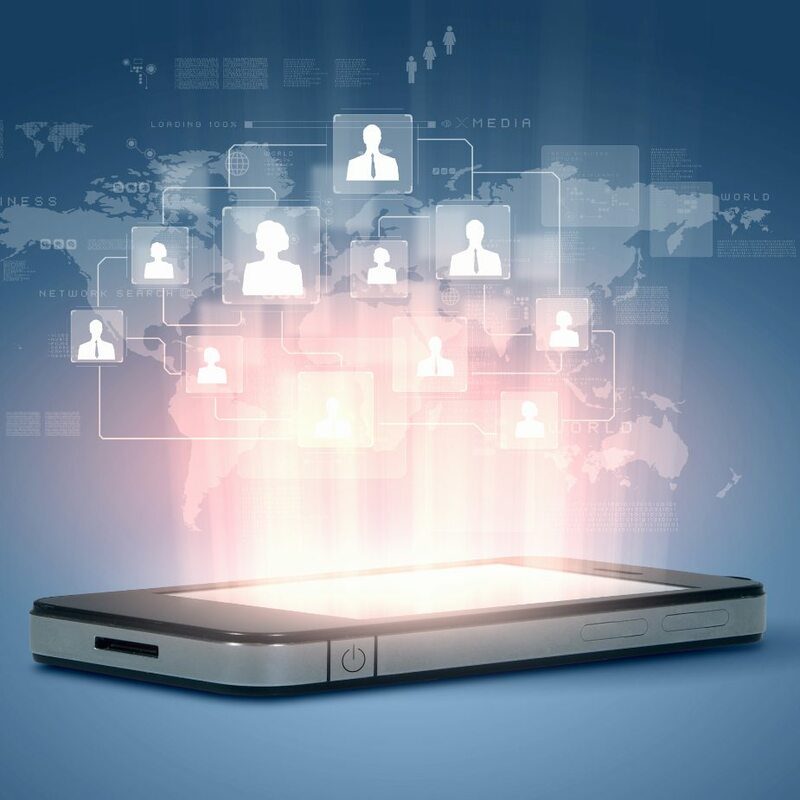 This trend is being driven by technology using “big data” to increase marketing effectiveness. We first saw the creep of visual marketing into the landscape when YouTube entered mainstream consciousness a few years ago. Since then this creep has turned into a torrent of visual marketing with emergence of Pinterest, Instagram and even Slideshare. In the last 6 months this has gone to a whole new level as Vine’s 6 second snack size video and now Instagram’s new 15 second video app has marketers scrambling for creative inspiration to apply and leverage this new trend. Your marketing needs to ride this trend to increase engagement and cut through the online noise. Which trends excite you or even surprise you? Have you adapted your tactics to meet the continual marketing and technology eveolution.